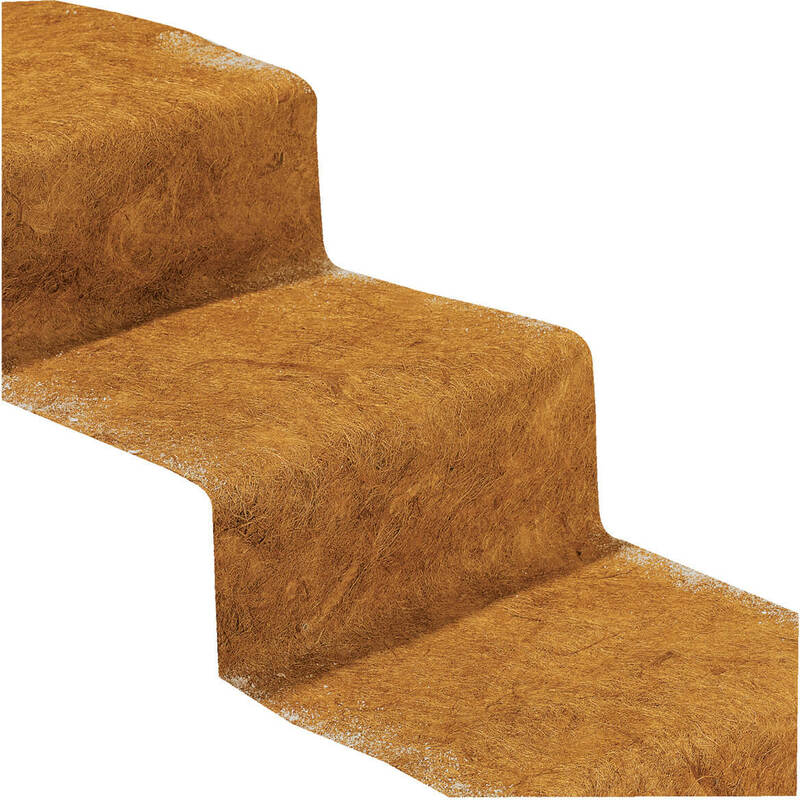 Simply place this 10-ft. long, textured runner over snowy steps and slippery walkways for instant traction. Its durable, sisal fibers are soaked in latex rubber, so they grip icy surfaces without slipping, skidding or sliding—offering you a safer thoroughfare without need for shoveling or salting. Available in two widths. Narrow no-slip ice carpet is 10′ long x 18″ wide. Wide ice carpet is 10′ long x 30″ wide. Snow is fun, but ice is treacherous. 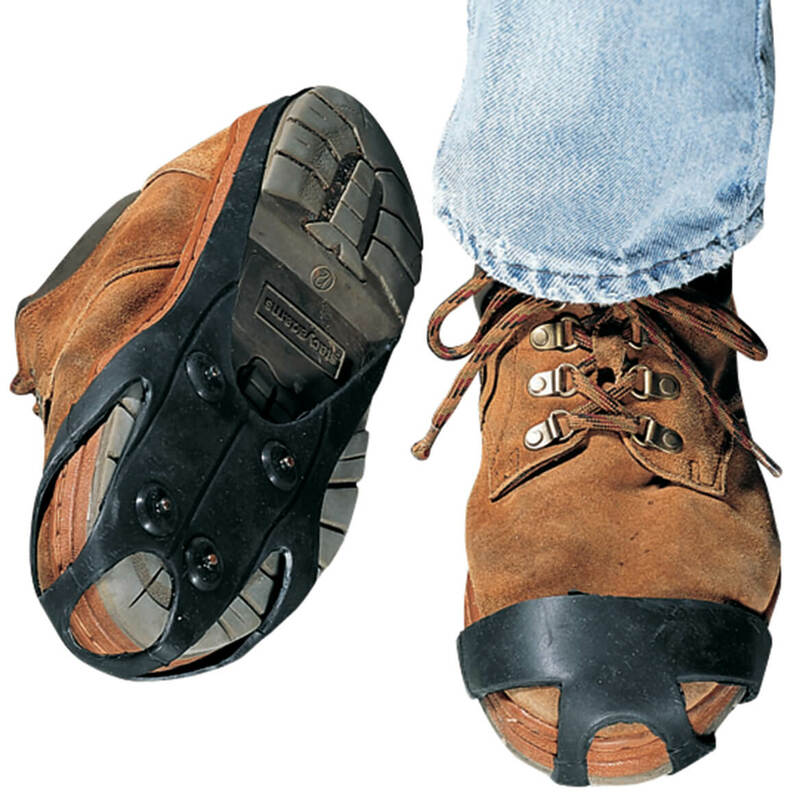 Don’t risk needless spills – these instant-on shoe ice cleats put four stainless steel spikes under each sole to bite into ice. Stretch our snow and ice grips to fit over any shoe or boot. Remove our ice cleats for shoes in a jiffy. Women’s ice cleats fit women’s shoe sizes 5-10, men’s sizes 3-8. Men’s ice cleats fit women’s sizes 8-12, men’s sizes 6-11. 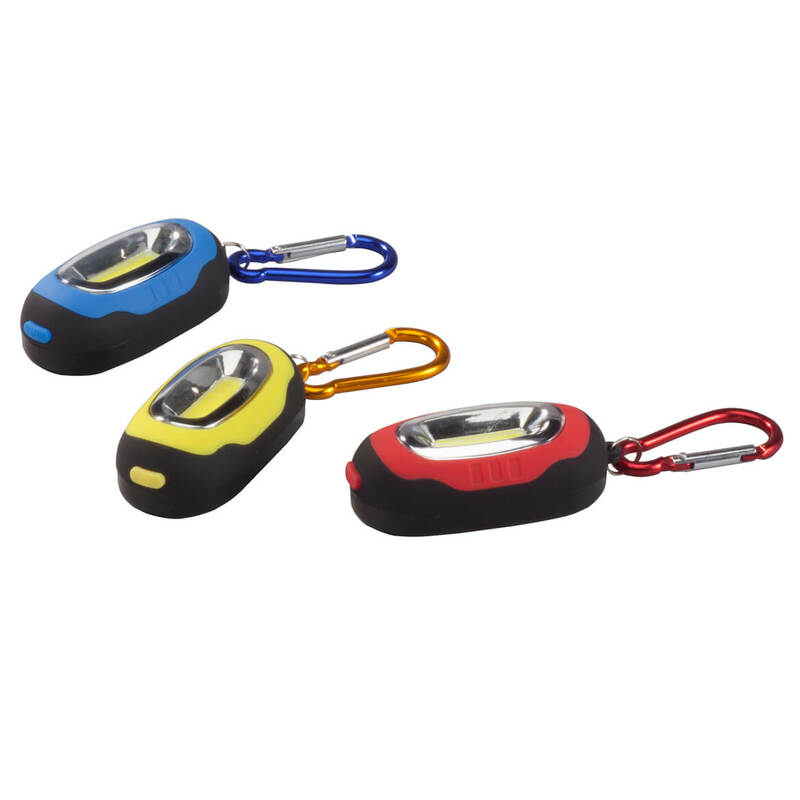 This essential self-powered gadget keeps you safe and connected with 3-in-1 emergency flashlight, radio and phone charger. Simply turn the crank for instant power. LED bulb provides 10,000 hours of long-lasting, bright light. Radio features FM tuner and volume control. USB port charges a cell phone or other device. 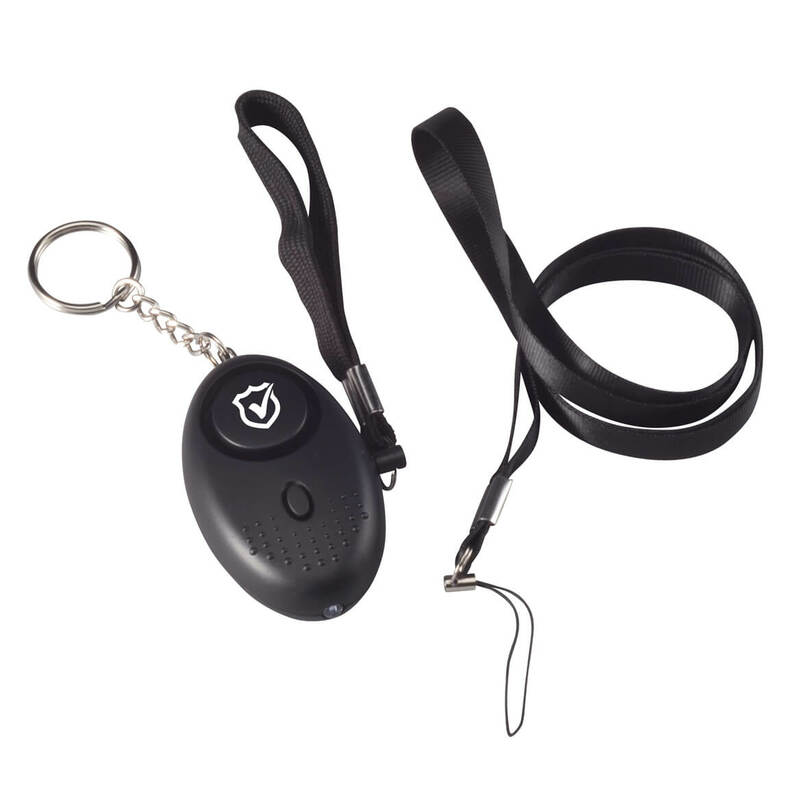 Includes lanyard for easy carrying. Uses 3 AAA batteries (not included) for a backup power option. Home security made easy and affordable — with no wiring required! 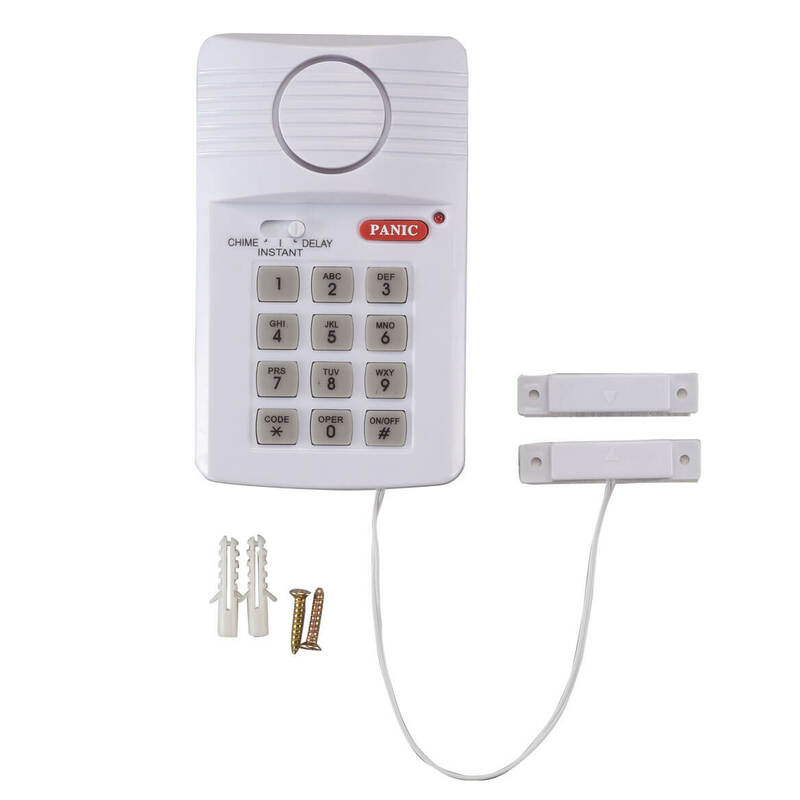 Easy-to-install, two-piece alarm features a main unit that attaches to any door with included hardware, and a small magnetic sensor that attaches to the door frame with peel-and-stick ease. Simply set your own security code and arm it when you leave. When you open the door upon return, a beep will alert you to disarm the unit or an alarm will sound. Works on windows, too! Optional chime feature notifies you when a door opens — great for caregivers. Instructions included. Requires 3 AA batteries (not included). Alarm base measures 3 1/4” long x 1” wide x 5 1/4” high; magnetic sensor is 1/2” long x 3/4” wide x 2” high. 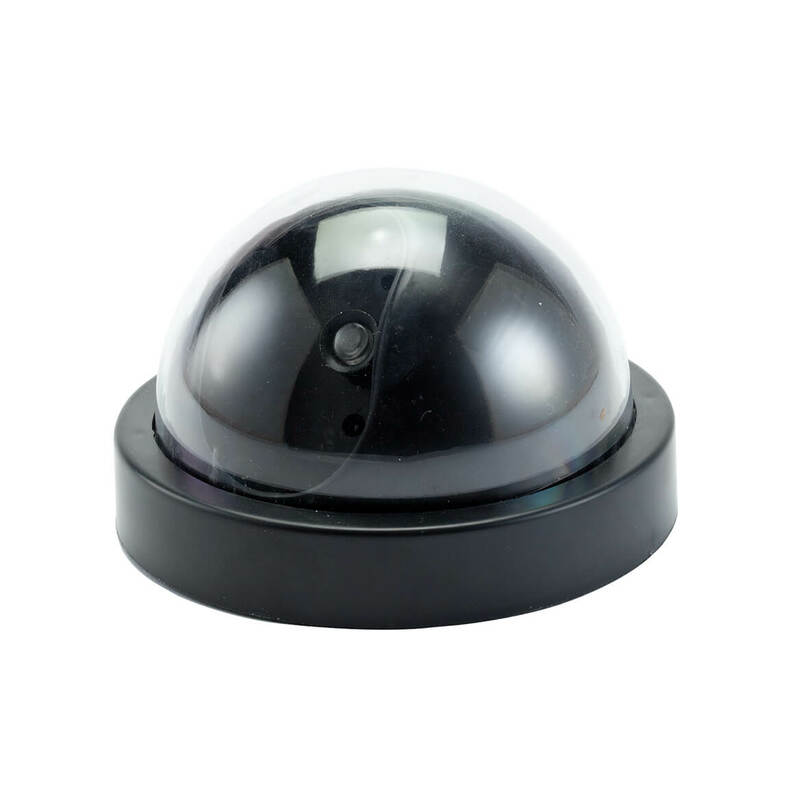 Mock dome security cameras give you peace of mind while leading others to believe they’re being watched. Each realistic dummy camera features a blinking red light and simulated lens to deter potential burglars, dishonest solicitors, and other criminals. No wiring needed — simply insert 2 AA batteries (not included) in each fake surveillance camera and hang by its keyhole hook. Convenient twin pack is perfect for two entryways! Suitable for indoor or protected outdoor use; if using outdoors, place in a sheltered area away from moisture, heat and extreme weather. Featuring a blinking red light for realistic effect, this mock solar security camera helps fend off potential vandals or thieves. 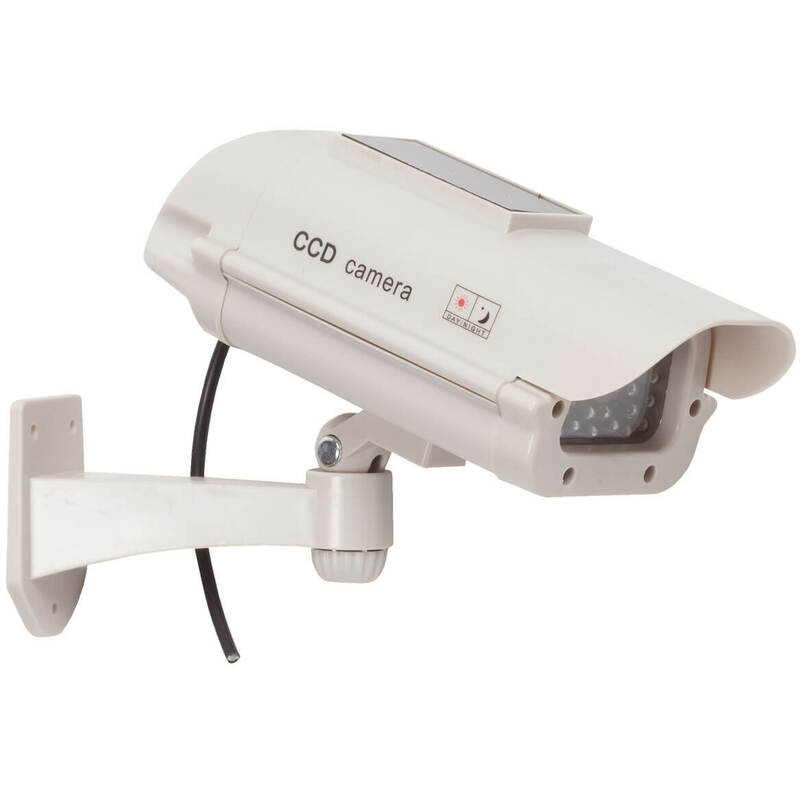 An easy, affordable way to protect your home, the authentic looking dummy camera is made of durable, weather-resistant plastic and requires no wiring or electricity. Simply install where solar panel can charge in direct sunlight, and its red light will activate automatically at dusk. 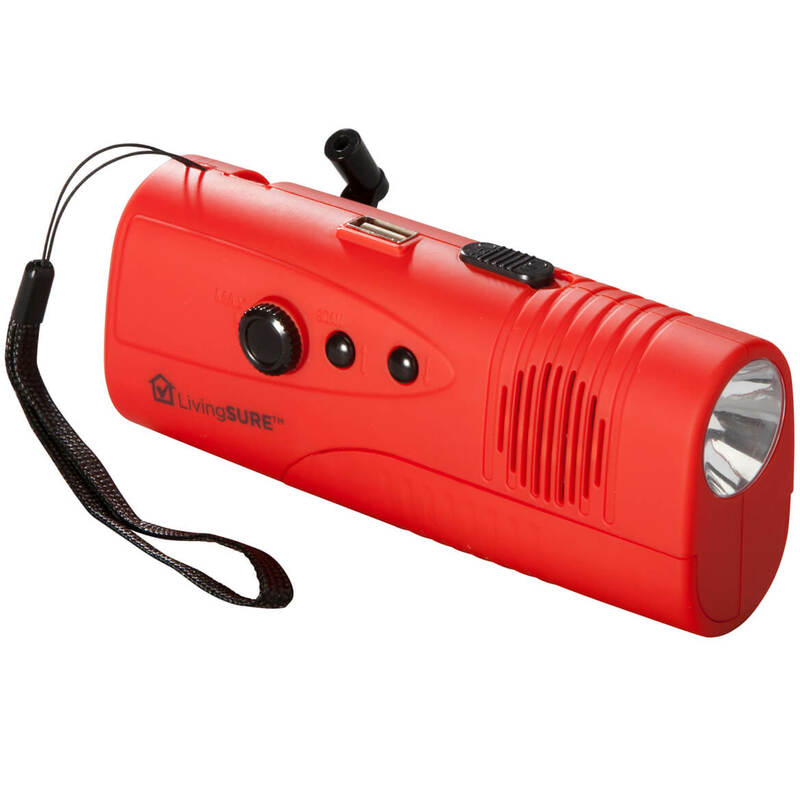 Fake camera includes solar battery for outdoor use, and can also be used indoors with 2 AA batteries (not included). 9″ long x 6″ high. Salting driveway, steps and sidewalks is simple, thanks to our shaker-style hand held salt spreader with easy-grip handle. 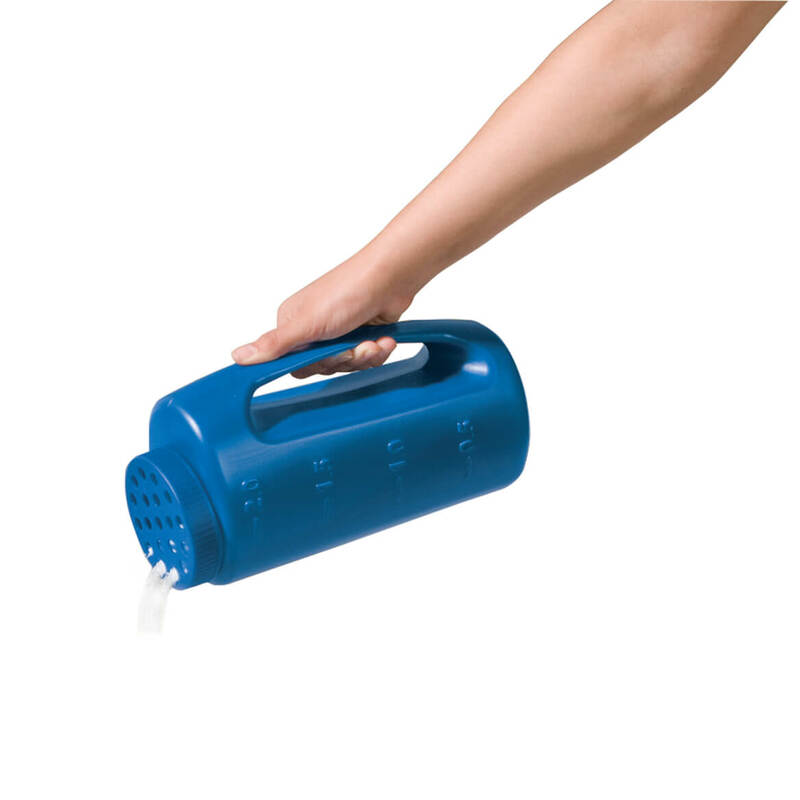 Lightweight hand held spreader features screw-on top for easy filling; keep it right at doorstep to assure safe footing. Hand held seed spreader also spreads seeds and fertilizer in spring! 10 1/2″ long x 5″ wide. This slip-resistant glow-in-the-dark grip tape helps you see and navigate steps and stairways safely at night. Your simple defense from potential slips and stumbles, the easy-to-apply glow tape’s gripper surface features a phosphorescent strip that’s safely visible in the dark of night. 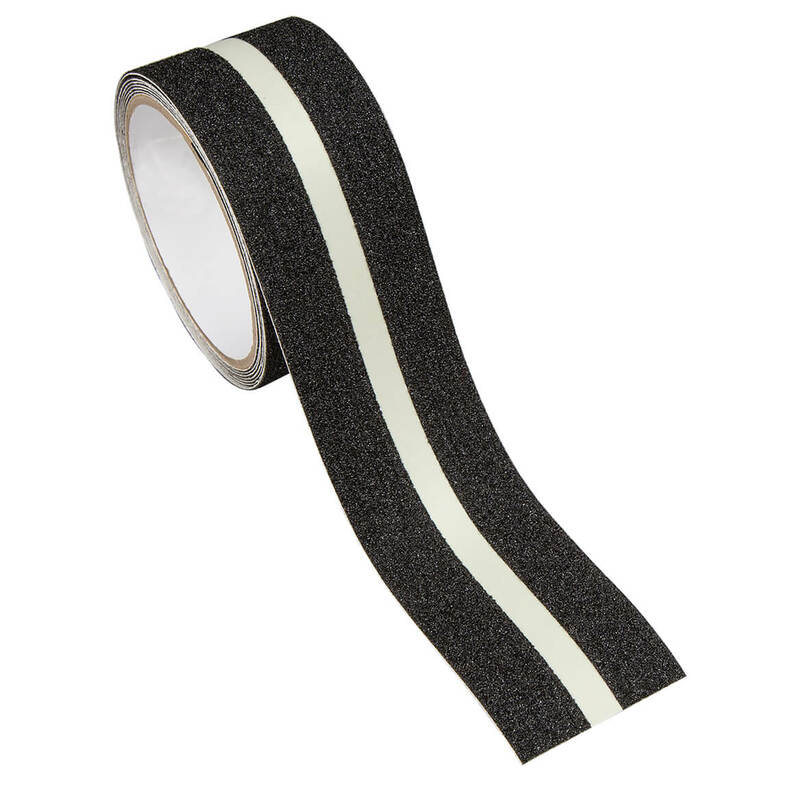 Non-slip tape easily cuts for a custom fit; simply trim and affix the self-stick side to any smooth surface, indoors or out. PVC. Roll is 7′ L x 2″ W.